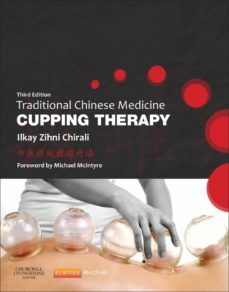 This new edition explores and describes techniques of cupping in the context of TCM theory. It provides a clear and detailed set of practical guidelines to applying this technique for various common conditions, and looks closely at issues of safety, expectation and theoretical principles of action. This new edition includes new scientific research on cupping therapy and the effect on the immune system as well as new material on muscular pain, stress management and cupping therapy and sports medicine. A dedicated website complements the text with video clips showing the eleven methods of cupping therapy.DVD containing 12 video clips showing the use of cupping in practice.Unique scienfitic research on cupping therapy and the effect on the immune system.LI>16 page colour plate section containing 63 halftones.New page layout including new features.Thoroughly revised and updated throughout with more details allocated to individual treatment and methods.LI>New material on muscular pain, stress management and cupping therapy and sports medicine.